Last weekend we traveled to Belfast, North Ireland, to see Calvin Harris! Couldn't believe the weekend was already there, as it kind of marked the end of summer. It was nice to have a little trip to look forward to after our holiday to Java & Bali. We arrived on Saturday morning and went for a little shopping. I found this lingerie store Bravissimo on internet which I had to visit. The women there where so nice and helped me find my perfect fit. So happy with my purchase! We stopped for some sweet treats. Scones and carrot cake. So so good! Before Calvin Harris started, we saw Ellie Goulding's show. She is very entertaining to watch and loved to sing along! I drank the typical Irish cider. How beautiful is the view from here? 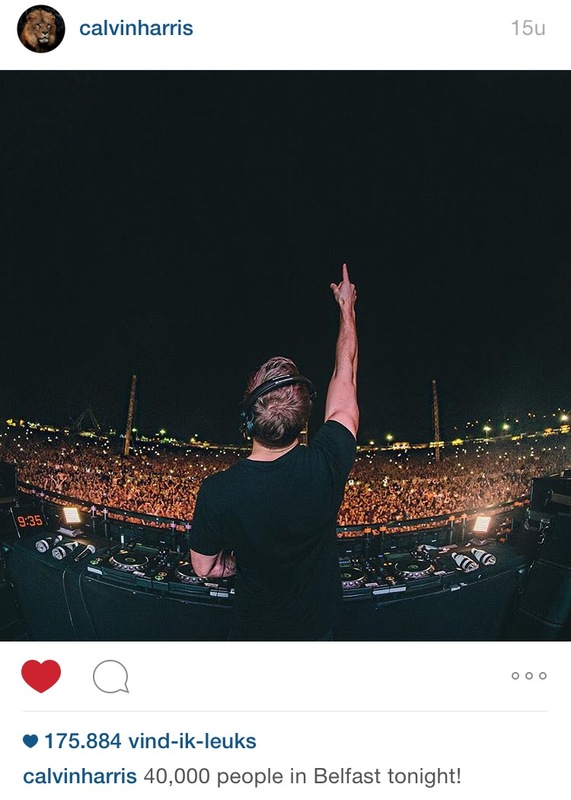 And finally Calvin Harris was up! He gave such a great show! I was dancing and singing along like crazy! He even played some of his older songs, one of my faves "We Found Love". Really cool lightning and fireworks. It was so nice to see him in real life! And on his instagram account the next day. 40.000 visitors! Wow! Sunday we went to the Titanic museum. She lay here between the poles. It was a huge museum with some nice features. The whole city breathes Titanic because back then, so many men helped her built. Very nice to see and read the stories, from beginning to end and beyond. Late afternoon it was time to fly home. Weekend traveling at its best!